Bismillah ir Rahman ir Rahim. Al-Hamdulillah. What can the justice system do differently than it's doing now to reduce recidivism? What programs, if any, should the judicial system put in place to reduce recidivism? Although these are two separate questions, my answers to them are the same. First And foremost, I feel that there needs a heavy emphasis on establishing a mentor department made up of mentors who are dedicated to ending recidivism. The establishment of this program begins with working with the community and the Department of Corrections to recruit people, especially prisoners and ex-prisoners, to be a part of this effort. Those who are prisoners will not be on a payroll, but will instead act as advisers until their release, at which time they can apply to be employed in their official capacity. The mentor mission statement has to include objectives that include a mentor program inside the prisons. The idea is that a mentor program that begins inside the prisons increases the chances of a successful transition back into society with greater chances of avoiding returning to prison. It is critical to introduce prisoners to this mentor program as early as possible so that the prisoner is incessantly mentally engaged in preparing for success. The idea of prisoners and ex-prisoners being a part of the staff is rooted in the fact that their experience makes them more credible in knowing what works to prevent them from returning to prison. Secondly, there needs to be more investments in alternative-to-prison programs, e.g., house arrest that includes participating in the mentor initiative for a period of time, and/or participation in the Restorative Justice Program. I believe that there also needs to be a mental health clinic that specializes in providing psychological treatment to ex-prisoners. The last question is, how do I feel society looks at “offenders?” Majority of society looks at "offenders" disdainfully as "them" and not "us." The danger of this perception is that it allows for the psychological indoctrination of dehumanizing people. This progression is actually a regression backwards to this country’s European Lifestyle when it openly held that "Africans" and "Natives" were not considered humans, but were named "slaves" and "savages," respectively. If we are going to be honest, we have to come to grips with the fact that a legal marriage exists between slavery and the criminal justice system. Its current relationship exists in a more sophisticated and subtle manner that famed author Michelle Alexander calls, "The New Jim Crow." 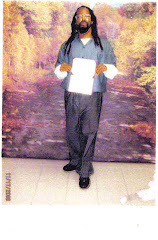 It is through this institutionalization that society bets against the "offender' by making a "felony" conviction a legitimate reason to deny the "offender" employment, housing, financial support, and equal opportunities for obtaining a college education, intimate relationships with a significant other who fears discrimination or being ostracized because of their relationship, and opportunities to shape their future via the political arena. This is clearly a recipe for ostracizing a people. It's akin to inviting a group of people to dine with you but you're the only one who gets to eat. The only one dining is you. Fyodor Dostoyevsky once stated, "The degree of civilization in a society can be judged by entering its prisons." I submit to you that with all of the institutionalized obstacles in an "offender's" path, the prison for that person exists regardless of what side of the prison wall he or she is on. The bad attitude that society has towards "offenders" is like a flat tire, until it is changed, as a country, we cannot go anywhere.